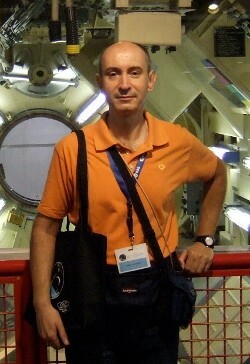 Paolo Amoroso was born the same year of the first Gemini flights. He live in Milan, Italy, where he work in the field of astronomy-and-space outreach and education. He has written an astronomy popularization book and articles for astronomy magazines. He has also worked for the local planetarium and astronomical museum.